With Custom Menus, you can choose which products are available at different Point of Sale stations or time slots. 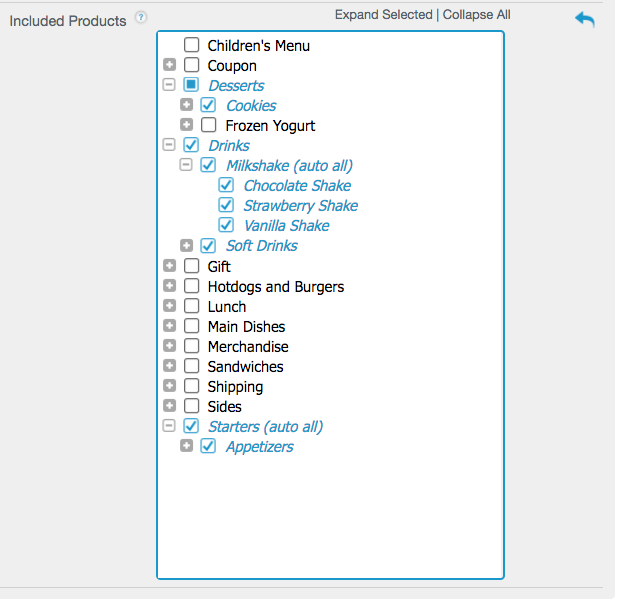 Prior to creating a Custom Menu, please make sure your products and Price Tiers are configured. In the Management Console ([yoursubdomain].revelup.com), navigate to the Products tab, then select Custom Menus from the left. Here, click +Add Custom Menu and enter the menu’s name. Time Slot Only: Restricts the menu to a specific time of day. Manual: Allows you to choose your custom menu manually on the POS. Mode: Used for online ordering, bar stations, kiosks, or digital menu boards. POS Station: Sets the custom menu to a specific POS terminal. Make the appropriate selection and fill in any additional details under Mode or Station if applicable. 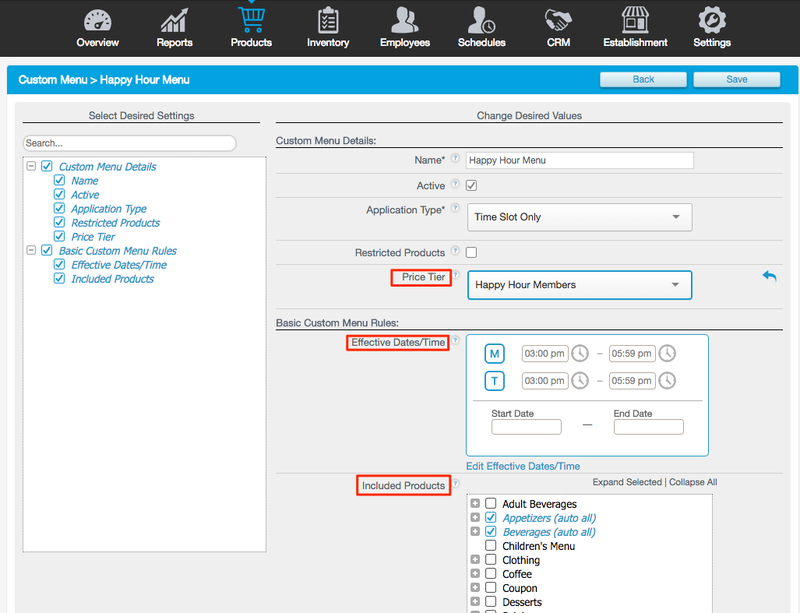 You can also select the products to include in this custom menu. Select entire categories, subcategories, or individual products. Click Save to finalize the changes. *Please note that only employees with the role permission "Custom Menu Management" enabled will be able to perform these actions.